Believe it or not, I ran out of things to say. At least things I thought would actually be coherent. So, I dropped off the blogging grid. Took a hiatus. But I’m back. And before I go any further, it needs saying that I’m not guaranteeing coherent or profound. Just for the record. The last year of blogging has been relevant to the law enforcement life. 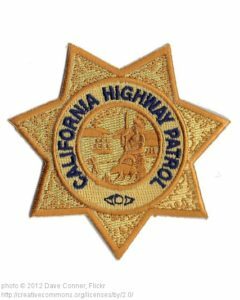 As the wife of a CHP Lieutenant, and writing a novel based on law enforcement PTSD, the topics that sprang to life for me revolved around those issues. My husband officially retired after almost thirty years. We moved from civilization to rural America. We remodeled a house and now we are leaving on an epic adventure. The law enforcement life seems like a distant memory. In some ways, I think that’s for the better. I am proud of the service my husband gave and the support we were able to give him. His was a noble profession. I had a conversation with a friend today about the life of a professional sports player. They make a ton of money. But they cannot last for thirty years. The smart ones plan ahead. They sacrifice in the moment. Bring home the bucks. Then they buy a car dealership and give up the physical abuse on their bodies. While a career in law enforcement is not technically lucrative, I think there’s a parallel. There’s a large probability of injury running the gamut of paper cuts to fatal shootings and everything in between. A cop puts their body in harms way to put food on the table for his family. And, the smart ones plan. You will not be a cop forever. Just like you can’t pitch a ball at 90 miles an hour forever. We didn’t buy a car dealership. Just a small ranch in Nevada. And my husband planned. He invested in himself and his family through the course of his career. After thirty years, he still has a life to lead. His identity is his name, not his ID number. His value as a person isn’t reflected in his annual reviews or his ability to do his job. His value as a person is reflected in the faces of his friends and family. So we are going to take a sabbatical. An adventure to see the unknown. We’ve never been to Europe so we are going. Being associated with a badge number for thirty years is enough to change a person and the people around them. But it doesn’t have to define them. Because after all, things change. Even numbers.